People are planting more trees, thinking carefully about coastal development, and anticipating the future of California's wineries. In March of this year, a Gallup poll highlighted an interesting tension in American thinking on global warming: While a majority of respondents said they believe global warming has already begun, a majority also said they don’t expect to suffer any hardships from global warming within their lifetimes. What the survey didn’t ask was how many people across the country are already reacting to rising temperatures—and preparing for those ahead. This past summer, twenty-somethings Allie Goldstein and Kirsten Howard took a road trip to document stories of what they call “climate resilience” – examples of individuals and communities finding creative ways to adapt to hotter summers, stronger storms, bigger wildfires, rising sea levels, and more. They visited 31 states and offset their minivan’s carbon emissions by purchasing carbon credits from Terrapass. Whether learning about Ann Arbor, Michigan’s newly structured stormwater utility or evaluating the use of public art to mark evacuation routes in New Orleans, Goldstein and Howard found these examples everywhere they looked — suggesting that perhaps the rest of us don’t have to travel far at all to witness similar initiatives being implemented. In some places, climate change is an explicit factor driving a city’s action; such is the case in Baltimore, Maryland, which has a Climate Action Plan and a recently appointed “Hazard Mitigation and Adaptation Planner” who is trying to build more tree canopy in the city’s neighborhoods so that residents may benefit from increased shade during heat waves. In addition to combating the “urban heat island effect” (increased canopy can cool the city by up to 9 degrees Fahrenheit), planting more trees has a host of other benefits: increasing property values and decreasing crime, according to Goldstein. These “co-benefits” were observed all around the country, Goldstein says, pointing out that sometimes “responding to climate change” is a co-benefit in itself, tertiary to the main goal of attracting tourists or reducing crime. Goldstein and Howard have also talked to Colorado fruit growers who are adapting to fluctuations in temperature without necessarily agreeing on the cause of the changes. “The farmers we spoke with, for the most part,” they write, “aren’t attributing the longer growing season to climate change.” The farmers view fluctuating weather patterns as normal. But in response to the latest variations, they are diversifying their harvests in anticipation of losing some crops each season, and using wind machines to nudge the air temperatures in the fields by half degrees to prevent freezing. Besides communicating more explicitly about the effects of global warming, Park Service staff are also initiating ecological interventions – “perhaps a little more heavy-handedly than they have in the past,” Goldstein and Howard write. In 2003, the Park Service deliberately directed a forest fire away from the region’s huckleberries, which bears eat; to prevent invasive species from reaching the park’s Quartz Lake, they constructed a barrier in Quartz Creek. Goldstein and Howard in Glacier National Park. "Though beautiful, the hike feels a bit like a hospice visit," they write. It would be a shame for these parks to lose their namesakes, but Goldstein and Howard’s observations across America suggest that cities and towns may be better poised to adapt to climate change than wilderness areas are. The stories from the cities seem hopeful; the dispatches from Glacier and Joshua Tree, less so. Perhaps that is because existential threats – changes that would alter the defining characteristics of a place – are more difficult to contemplate before they occur. 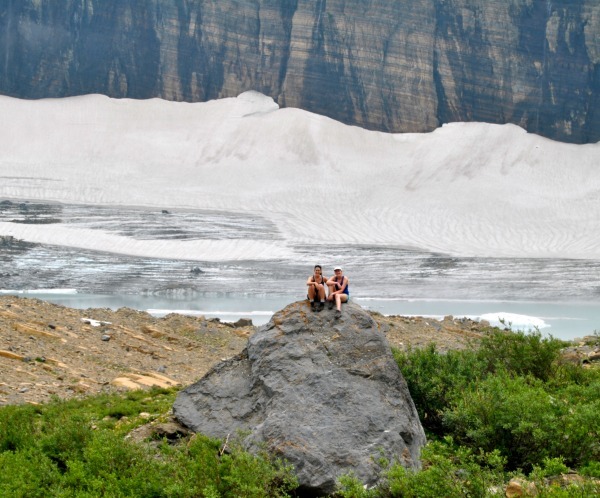 Who would have thought, ten or twenty or fifty years ago, that a glacier-less Glacier National Park was possible? In Napa Valley, though, exactly that kind of forethought is taking place. The region is well-known as wine country. 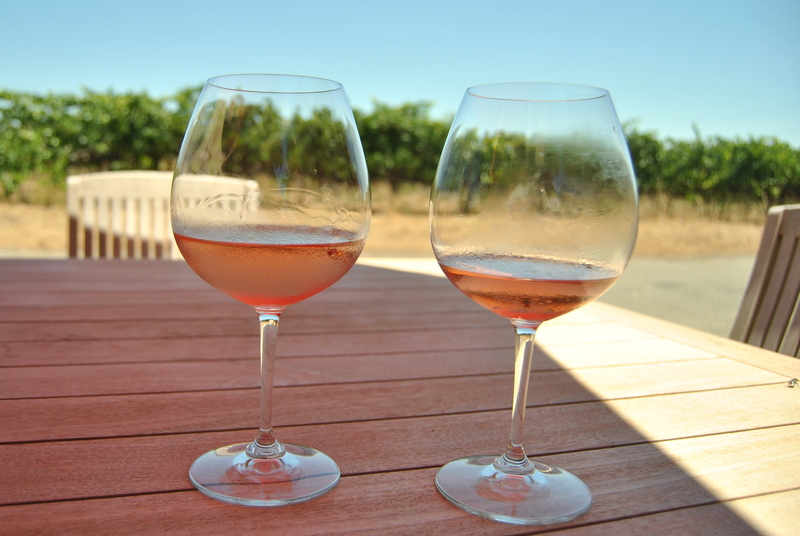 Local vintners, write Goldstein and Howard, formed a climate task force in 2006 to meticulously track temperature changes and develop strategies to manipulate microclimates in the vineyards. They installed weather stations in the vineyards, sifted through farmers’ harvest logs from past decades, and are even testing solar-powered sensors on their vines to monitor plant hydration day by day. What they have found is, so far, a much slower progression in temperatures in Napa Valley than has been measured elsewhere, allowing growers to put scientists’ projections into context, and gauge when it might be time to start switching cultivars. They’re doing their homework, in other words, and providing a standout example of what it takes to stay ahead of existential threats — climate change may mean the end of glaciers, but it won’t, hopefully, mean the end of California wine.